Finally! 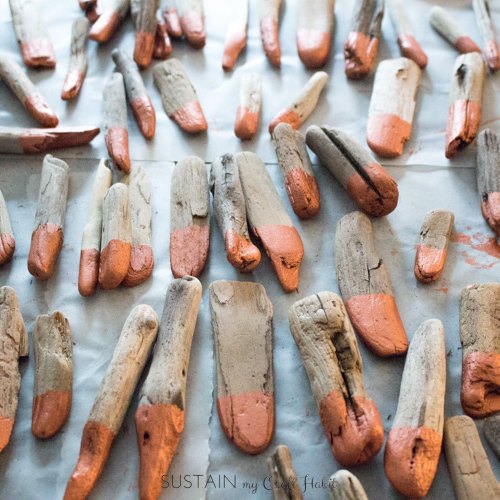 It’s been awhile since our last drift wood DIY and we’ve definitely been missing our lovely driftwood pieces. 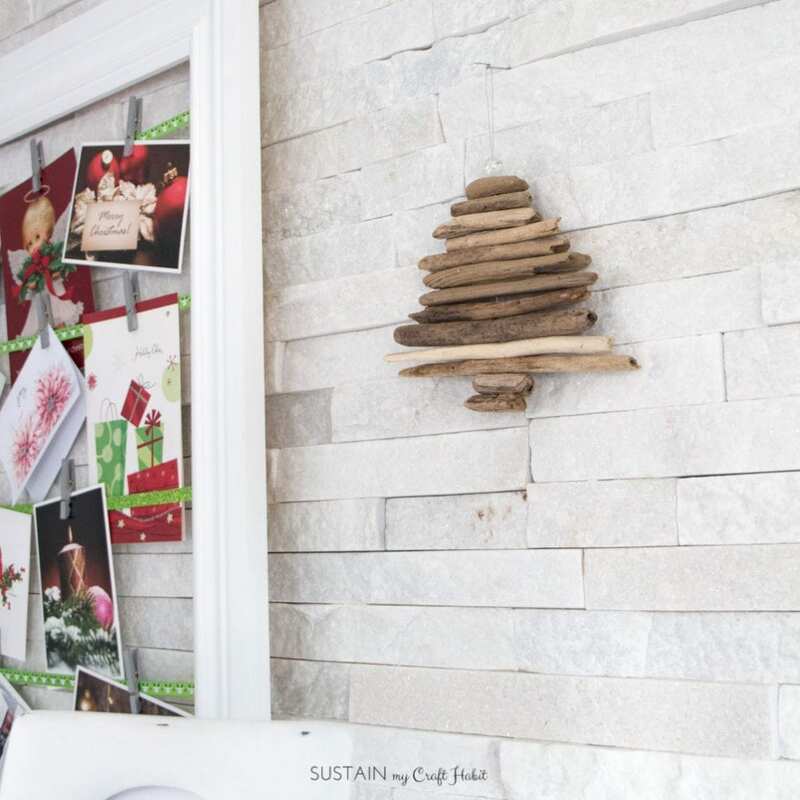 We’d been planning to make this driftwood garland idea since we’d collected these little beauties over the summer and with the holidays around the corner, it gave us the push we needed to get it done! Can you tell we’re a little obsessed with driftwood? 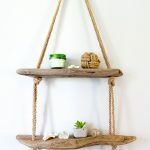 Call it our vice or our passion but whatever the case, it’s a material that gets our creative juices flowing and you can check out all our drift wood DIYs in our Coastal and Nautical Decor gallery! 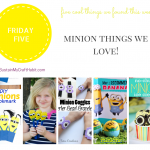 This month, we are decking out Jane’s fireplace mantel for Christmas with all DIY handmade decor. Lucky girl! 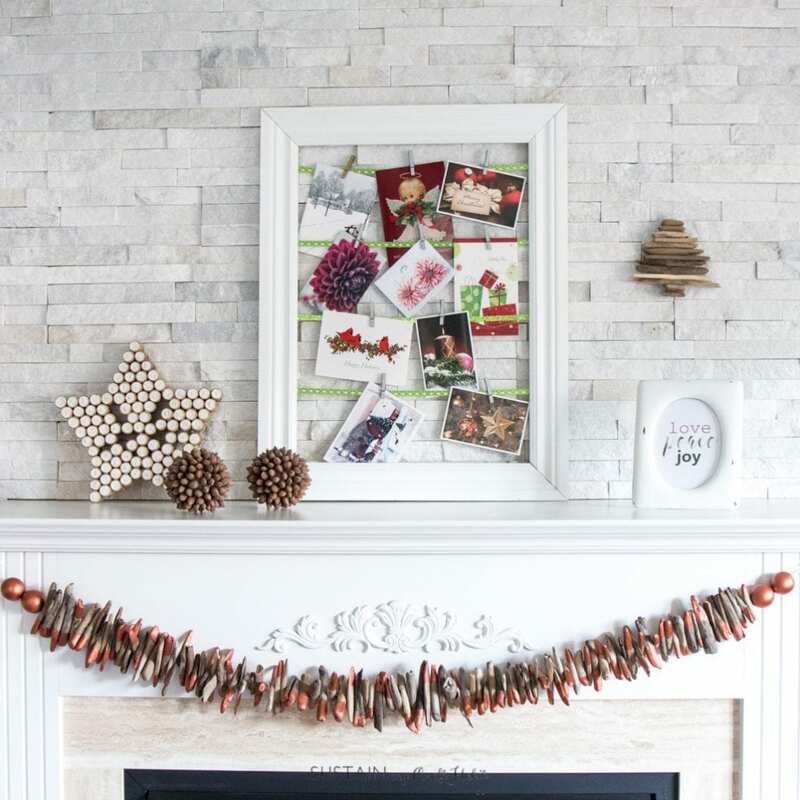 So far we’ve added a Simple Christmas Card Display and an Upcycled Frame with a Free Christmas Printable and paired them with DIYs we made last year, such as our decorative Hazelnut Ornaments and Sparkling Wine Cork Star. 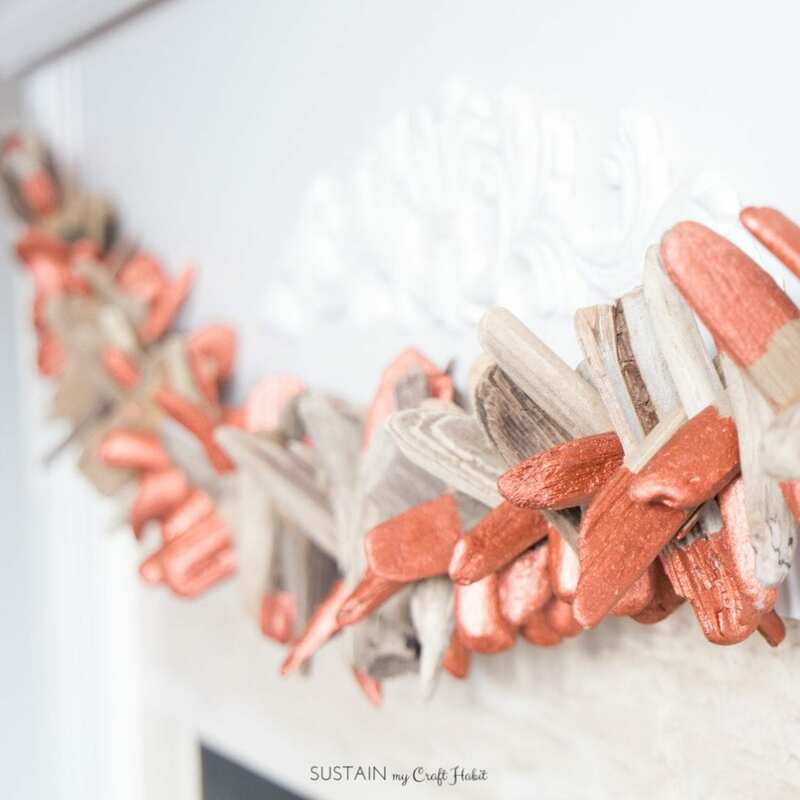 And this mantel just wouldn’t be “us” without some driftwood decor! While we very much love the natural rustic gray and beige tones of driftwood this Christmas garland needed a little metallic touch, so copper-dipped it was! We think it coordinates with the mini DIY driftwood Christmas tree we wrote about last year and have available for sale in our Etsy shop. 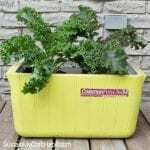 Gather your cleaned and dried driftwood pieces. 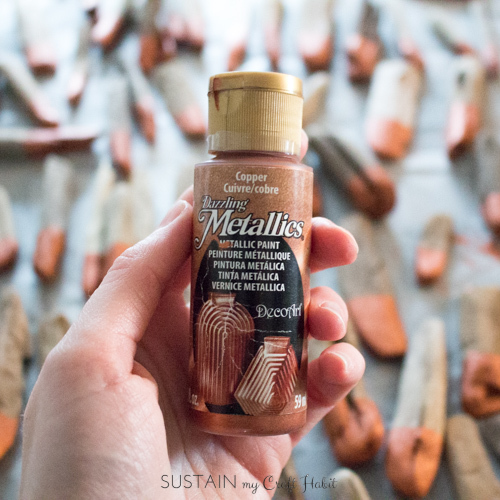 There are so many DecoArt Dazzling Metallics paint colours to choose from! We chose to use copper as our accent colour for our mantel but any colour would look beautiful and shimmery! Give the paint a good shake before starting. 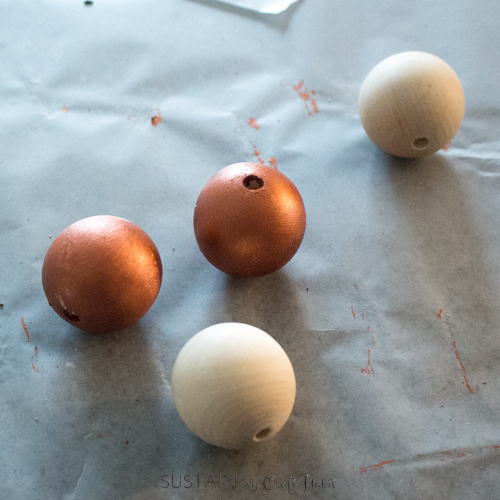 Tip: place a layer of wax paper over your work surface to prevent the painted pieces from sticking. 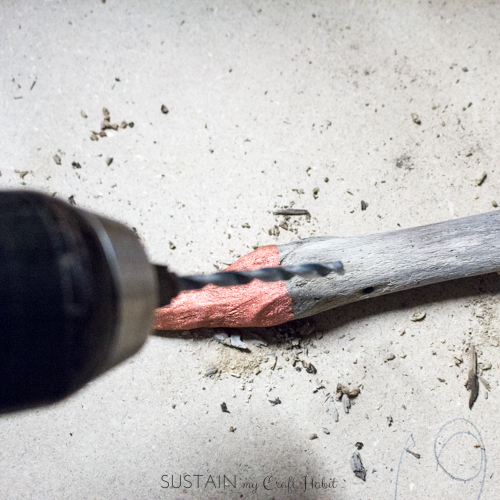 Paint one end of the driftwood piece about ¼ of the length. Let dry. I also had these large wood beads I bought from Amazon from a previous project so I decided to use them as well. Drill a hole into the centre of each driftwood. 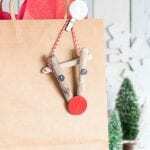 Make sure the hole is big enough for your twine or string to fit through! 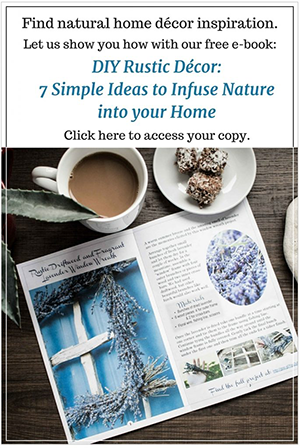 String the driftwood pieces and wooden balls on your twine. 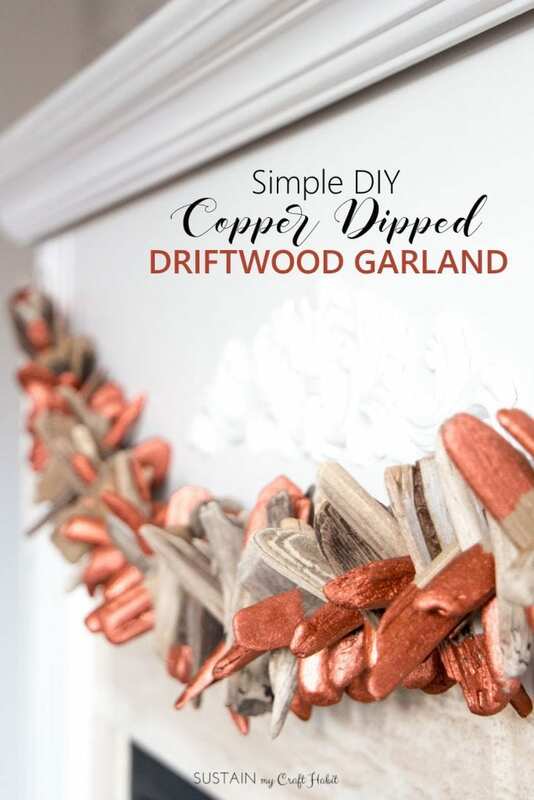 Hang your new DIY copper-dipped driftwood garland in place to enjoy and admire! Do you have a go-to material of choice that brings you joy and gets your creative juices flowing? 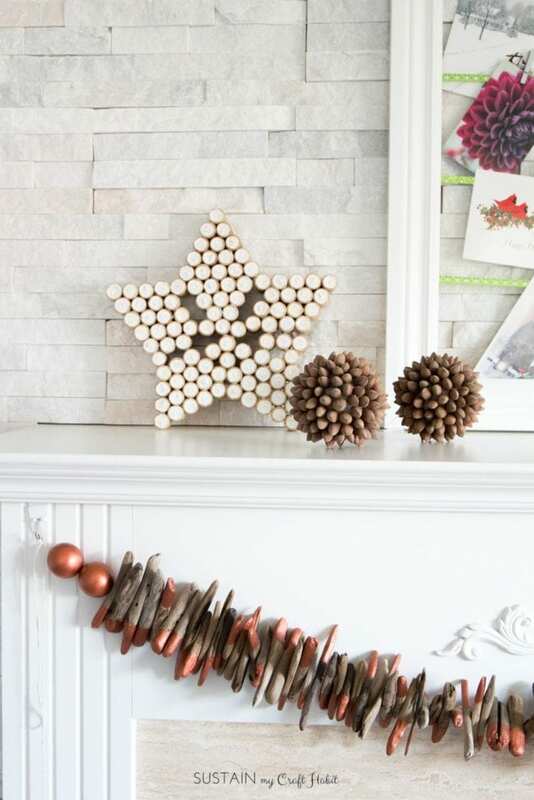 Just as you are obsessed with driftwood, I’m obsessed with garlands…and I love this! So unique and beautiful! Great work.